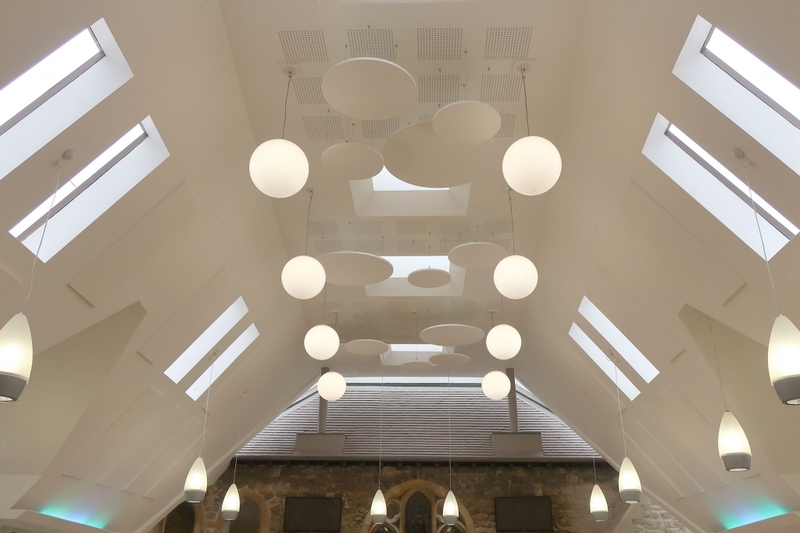 To design and install a sound absorbing system to reduce reverberation times inside the church’s atrium to c.0.8 seconds. The atrium serves as a public coffee shop. It’s also used for a variety of church-related events, including choral performances and religious ceremonies. Therefore, the acoustic conditions need to allow for full-bodied musical performances, without being too lively for everyday use. 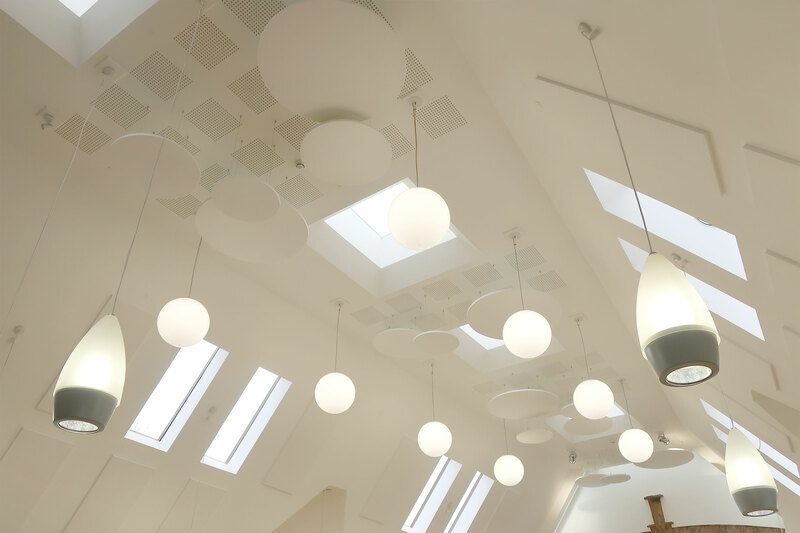 To design and install a system that compliments the existing fixtures and fittings in the church, notably the pitched roof windows and distinctive pendant lights. To design and install a system that’s fire-safe. A site survey was carried out, which included sound testing – measuring existing reverberation times at 1.6 seconds. The data recorded was used to calculate the sound absorptive surface area coverage and configuration required inside the atrium. 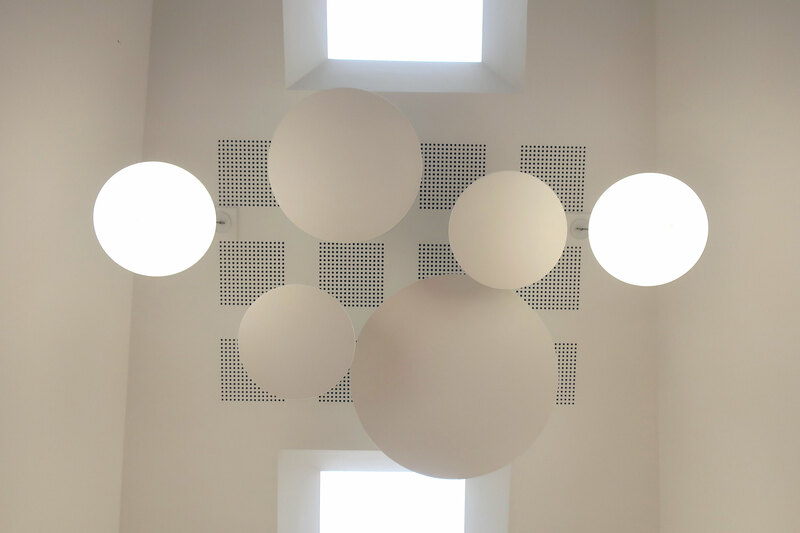 Accordingly, a system was designed, utilising both circular (ceiling-suspended) and rectangular (wall-mounted) acoustic panels (Class 0 fireproof rated). 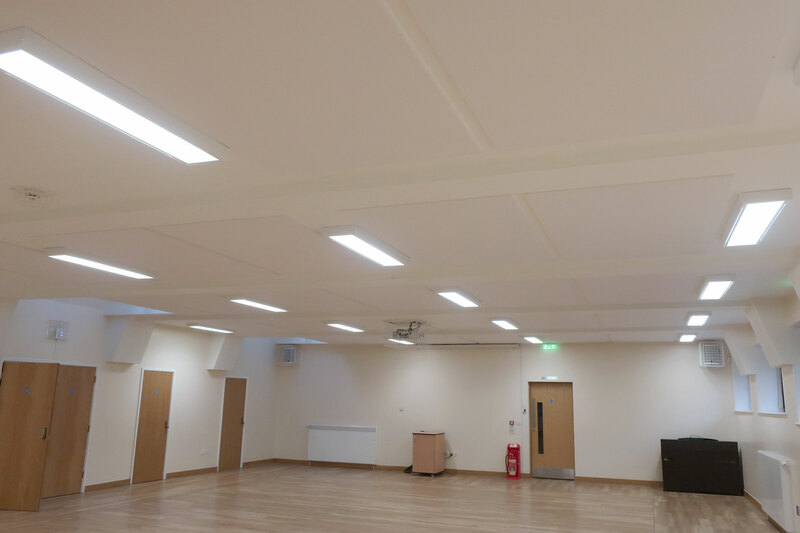 Additionally, the church commissioned Mute to design and install a ceiling-mounted, sound absorbing system for the main hall, specifically to improve speech intelligibility, i.e. the space is frequently hired-out for conferences and conventions.